Camino and Gonzalez Byass have teamed up to give seven lucky members of staff the chance to become sherry ambassadors. 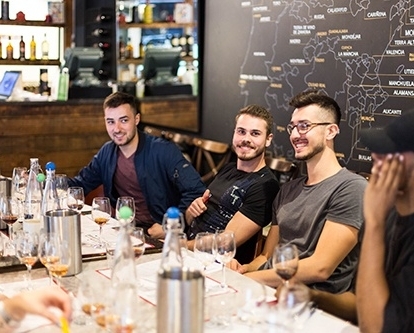 The programme is designed to train them in the hope of passing on their exceptional knowledge and appreciation of sherry onto other staff members and customers. Although the sherry revolution is still in full swing, sherry lovers need to work extra hard to keep the momentum going by showing people what makes sherry so special. Our sherry ambassadors know the importance of their role and they certainly aren’t afraid of a challenge! Following lunch the group stopped off at Sack bar for a quick round of sherry cocktails and then last but by no means least, they headed to our very own Bar Pepito. It was the very first sherry bar to open in London and showcases sherry in all its forms in a hidden Andalusian bodega-inspired interior. 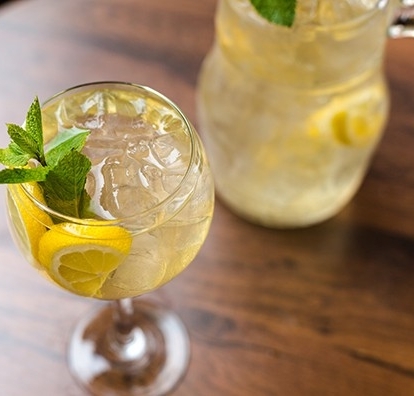 The group rocked up to Camino’s courtyard in King’s Cross to find it full of people enjoying post-work drinks in the sun. They pulled up stools in Bar Pepito and began a tasting of the bar’s most popular sherries with an array of delicious tapas. After more discussion about the versatility and complexity of sherry, there was no better way to end the day than with a ‘sherry wave’! In the weeks following this sherry marathon the ambassadors all passed their sherry exam, thought about how to get customers excited and concocted their own sherry cocktails, some of which are now live! Introducing Javier and Mauro’s PXpresso Martini , adding a sherry twist on a timeless and trending classic. 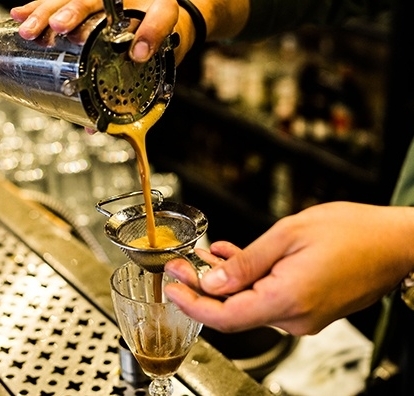 Made up of Absolut Vodka, Nectar Pedro Ximénez, Oloroso Dulce Solera 1847 and espresso, it’s rich, indulgent and creamy. When asked about the inspiration behind the drink Javier explained “after a meal people often feel too full for dessert or think that a glass of PX Nectar would be too sweet and often opt for a coffee instead. 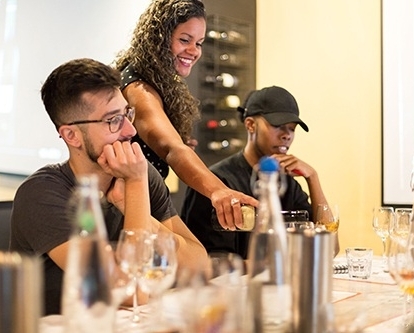 We wanted to mix things up, combining dessert and coffee in a glass.” He also pointed out how popular the Espresso Martini has become and how the name PXspreso Martini would entice people to try something new, which is exactly what this programme is about. We’ll be following the sherry ambassador’s journey closely, so stay tuned for more updates, food and sherry matches and innovative cocktail recipes!